Interesting idea! Do you have any books selected yet? The Color Purple seems like an obvious choice. I'd recommend The Yellow Wallpaper also although I think it's technically a (long) short story or novella than a full-length book. I read The Blue-eyed Devil by Lisa Kleypas for Blue and I'm thinking the Green Mile for Green and I've got True Colors for the color themed one. Ooo, interesting choices. What about Devil in the White City (sounds interesting) and The Red Tent (got good buzz)? I still can't think of anything for brown or black (except Brown Bear but I don't think you'd be interested in a children's board book!). 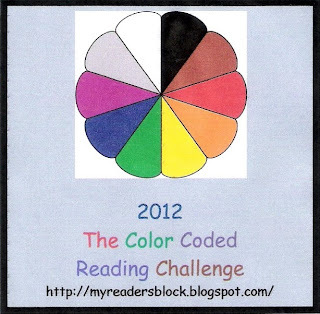 This is a fun challenge just to think of books that would fit the parameters. Thanks for the ideas! Looks like I'm going to have a good list of books to read this year!